We’ve moved! Parameters is now located on the 10th floor in the 705 Building at Baker Center in the heart of downtown Minneapolis. The main entrance to Baker Center is located on the corner of 8th Street and Marquette Avenue. Parameters is open Monday-Friday by appointment. There are a variety of parking ramps and lots nearby. 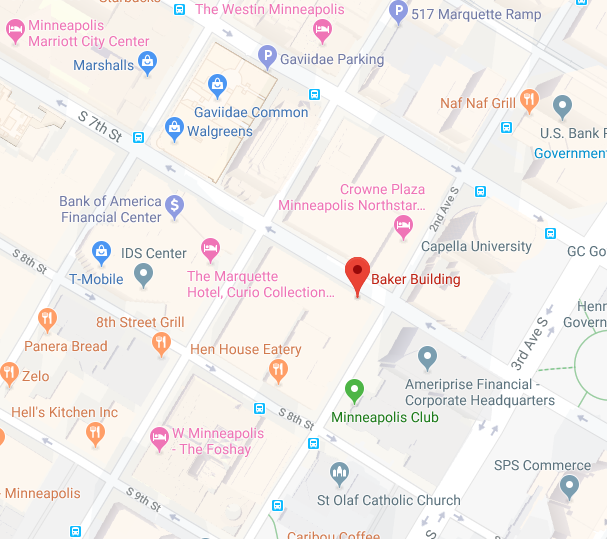 Parking is available at Baker Center on a first-come, first-served basis by entering the garage on 8th Street S., between Marquette and 2nd Avenues, directly below the skyway bridge.